E.T.A: Apparently 'M' is also for "monotonous migraines;" will post again Thursday night. used as an identifying mark. mon o·gram·mat ic (-gr -m t k) adj. 'm' for monogram & mel hehehe. Just a handful of templates today, for Monogrammed projects (for you to make a wee gifty maybe?) Monograms always seem just so. Just so classy...so personal...so crisp & fresh looking. I wanna make somethin' with a monogram!...But, better get back at the Christmas cards for now. Google image search for "Monogram"
Google Image search for "Monogrammed"
Hope you have a superdeeduperdee great day! tell us what you love about paper for Paper Temptress Blog Candy. Mel, You are the coolest!!!! TFS, love your blog. This looks fun! I can't wait to try them. The igloo is so cute. It looks larger on your box then when I went to the web store. Now I need to return and look at all the sites you shared. Oh Mel, You rock!! I love the tuts and links. You are awsome. Is there no "M"edicine for "M"igraines? Sorry you are not feeling too good. May be it is the cold that gives you headaches. 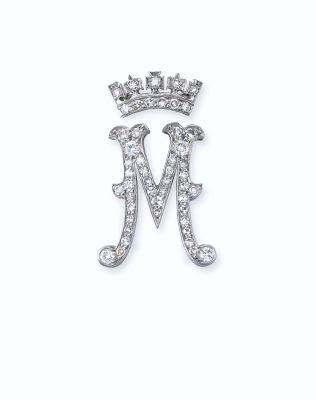 Your Jewelled M is cool. Off to check out your other creations. Wow this is great. I went to the beaded letter and also found some snowflakes. So I'm going to give those a try! Looks like wonderful fun!! Thanks for sharing and here's hoping that you kick this nastiness before Christmas holidays begin. Thank you for sharing these links Mel! You are so kind to all of us! Thanks for the links, lady!